One of the most hotly debated issues among fathers is whether or not children should be vaccinated. Despite the fact that regular vaccinations can help prevent diseases that are common in many children, some parents believe that the vaccines themselves could be harmful to their kids and opt to bypass the beneficial treatment. One of the most pervasive myths about immunizations is that they carry a number of side effects with them. Fathers should considers, however, the damage a vaccine-preventable disease could wreak on a child's health. Generally, the benefits outweigh any minimal risk. 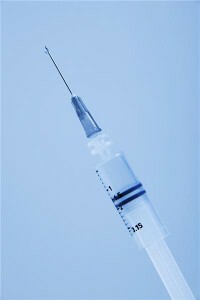 The topic of vaccines is especially pertinent as winter approaches. Health experts urge parents to be mindful of the threat of contracting influenza. Experts say getting the flu shot is important for any child who's over 6 months old, because even regularly healthy children can fall victim to the virus. "There are some people who cannot be vaccinated, such as babies younger than 6 months and those who are allergic to the vaccine," Illinois Department of Public Health Director Dr. Damon Arnold said in an advisory. "That's why it is important for those of us who can get our influenza vaccine to do so and protect those vulnerable populations who could become seriously ill."